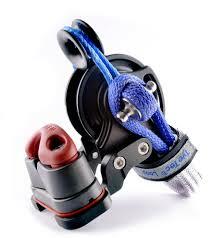 In the late 90’s the fibres like kevlar, spectra or dynema became very popular in the sailing industry. This evolution had a mismatch with the blocks that were available at the time, for example, a 10 mm kevlar had such a high working load that it needed to be used with a big heavy block to have a similar working load. 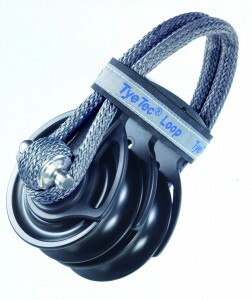 At that time Tye Tec came into play trying to solve the problem of traditional blocks and being able to offer light and compact blocks that were able to handle the working loads of the ropes of today. 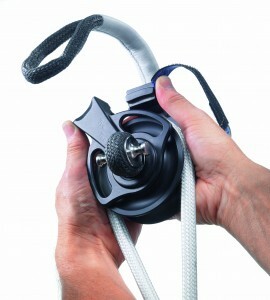 The range of sheave sizes goes from 37, 45, 60, 80 and 100 mm which means they can fit most rope sizes. 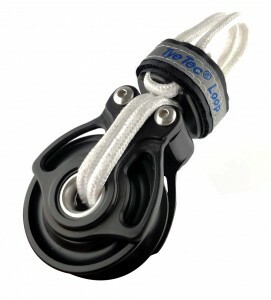 Code Blue: High Load with bearings for universal use. The bearing material can withstand high-pressure loads with low friction. 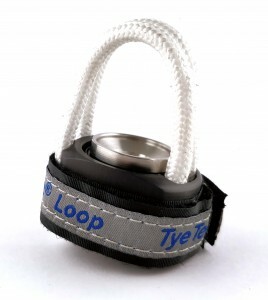 Code Grey: high load loop block with two-stage ball bearings. 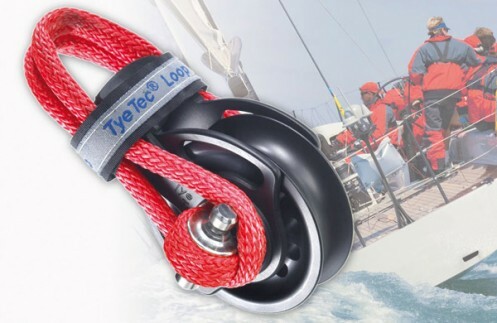 For greater comfort when cruising or racing, especially if the rope doesn’t have constant load such as mainsail halyard, spinnaker sheets…. Under load, the force would be on the bearings. Code Red: very high load bearing blocks, for the heaviest loads. Special bearing material for maximum compression. 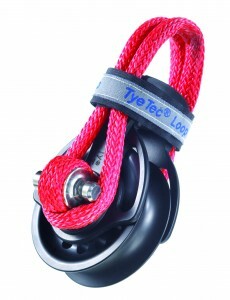 Special loop made of Dyneema SK 90 for the highest loads. Particularly easy due to weight reduction aluminium sheave. 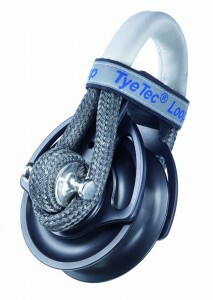 The Snapper block provides the availability to lock the rope with a cam cleat built into the system.  It is initially available in the 45 mm and 60 mm versions. The cleat can be adjusted in different angles to suit the natural alignment of the block… The friction ring on top can be used as a fiddle or for a purchase system. The swivel block is the latest addition to the range, solving a weak point of the loop blocks. 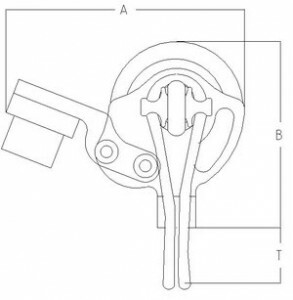 The swivel has a radial slide bearing and an axial (two-step) ball bearing. Ball bearing under lower loads, changing to a slide bearing under higher loads.